At Pristine Home, we have a full team of St. George cleaners that are as professional, as they are reliable. Not only will they leave your home immaculate, they’ll also help you reclaim some time – time that was previously spent on cleaning – for yourself and family. No matter whether you’re in need of a deep clean in Peakhurst or a quick spring clean in Bexley, our team of police-checked cleaners in St. George can effectively help you today. How Can Our Cleaners Help? This following list of cleaning services we offer to customers in St George is by no means complete. If you would like a service that is not mentioned, please get in touch with one of our friendly operators as they can help tailor a specific cleaning program for you today. There’s no doubt that all our lives are getting busier every single day which often means cleaning is left behind. Pristine Home can help you take control and ensure your home is always sparkling while allowing you to get your precious time back. Moving out is stressful, organising and packing is time intensive and you haven’t even got started on the cleaning. Work with proven cleaners who can get the job done fast and ensure you get your bond back. Tired of all the pockets of mess around your home but overwhelmed where to start? Get help with your next spring clean and ensure the work is done quickly and efficiently using our home cleaners. Moving in or out of a new home? We can help. Whether you’ve purchased a new home or are moving from your last rental, our cleaners help take the stress out of moving location. Vacating a premise? Maybe it’s a business office, shared room or your home – we can help. Book a cleaner online in 60 seconds and vacate with confidence. Living in the city? Have a super hectic schedule of all work and no play? Don’t spend your weekends cleaning up, we can make your apartment sparkle while leaving you to enjoy your free time. Let’s face it, everyone hates cleaning bathrooms. Whether you’re a single mum, family of five or just a busy corporate high flyer – we can help clean your bathrooms on a regular basis and ensure they always shine. Moving out and want to ensure you get your bond back? Our cleaners follow our strict checklist to ensure no area of your home is left untouched. We’ll return your rental to it’s prior shine leaving you with the confidence to get your bond back. Have a property you need cleaned? Whether it’s an holiday home, rental property or your own home, we can help. Get a quote online and book within 60 seconds. Need help with your kitchen, cleaning ovens or something entirely new? Whatever the house work is, we can help. Give our team a call today to discuss a cleaning service that will meet your needs. Can’t see through your oven window? Is there grime in your sinks? We’ll help restore that show room shine and make your kitchen feel like it’s brand new. Here are just some of the suburbs we service in the St George Area. 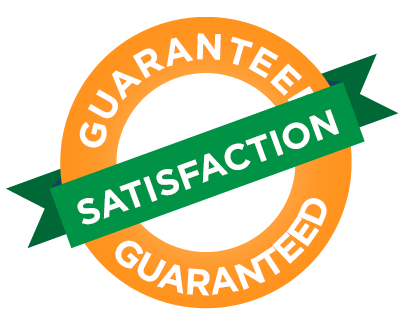 We pride ourselves on high quality services and happy customers which is why we offer our 100% satisfactions guarantee. If you’re not happy, simply get in touch and let us know and we’ll come back and resolve any concerns – free of charge. We’ve made the process of booking a home cleaner incredibly easy, simply enter your postcode and book a cleaner online in under 60 seconds. Let our team organise the rest while you put your feet up. We can have a cleaner to your home the next day or at a time that suits you. If you’re struggling to find a good cleaner, we can help. Don’t overpay for cleaners who just want to rush through your home. We pride ourselves on providing highly affordable services while maintaining high quality in all of our services. We’re confident that you won’t find any better value for money that Pristine Home. Top Rated Home Cleaners – Here’s Why! If you want to work with the best in home cleaners who are local to St George, you’re in the right place.